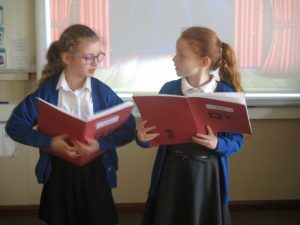 This week the Bluebells have been learning all about a special type of poem called a cinquain. 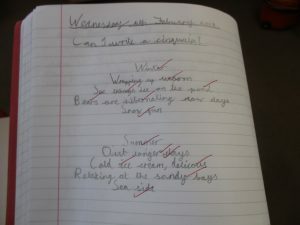 We learnt that a cinquain is a poem with 5 lines, which must have a certain number of syllables for each line. 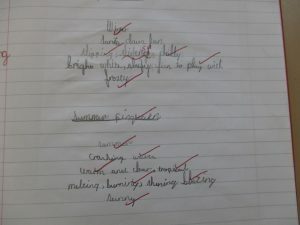 The children planned their two poems they were going to write. One about winter and one about summer. 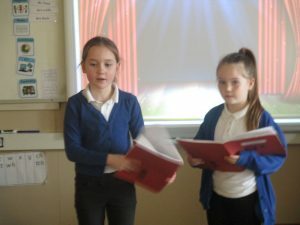 After writing some fantastic cinquains, they had the opportunity to perform them in pairs. 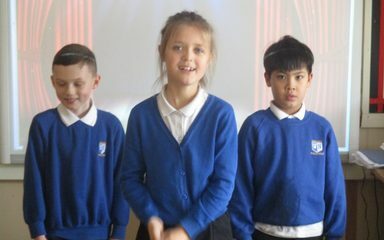 They thought carefully about their tone, expression and any actions and really put their all into a great performance.